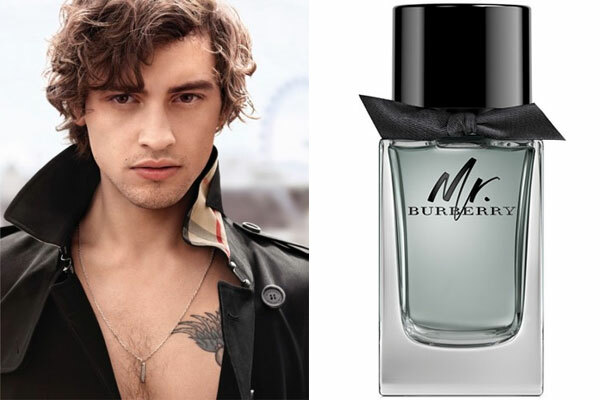 Northern Soul actor Josh Whitehouse stars in the fragrance advertising campaign for Mr. Burberry shot by Steve McQueen. The aromatic fougere scent for men was launched in April 2016, and created by perfumer Francis Kurkdjian, and available in an eau de toilette spray. The intense eau de parfum version was launched in April 2017 and enhanced with notes of cinnamon, patchouli, and amber. Both versions are available in 1 oz, 1.7 oz, and 3.4 oz sprays from Macy's and Nordstrom.